The seller on the left chooses a COMmission FREE Company to sell their home. Result: Sells after 3+ months $1400 below asking price. Their neighbour 8 streets away in the same area, similar sized home and same time of year hires a REALTOR® to sell their home. Result: Sells in 6 days for $45,000 over list price. Which method makes sense to you? So yesterday the Canadian finance minister announced more changes to mortgage rules for Canadian homebuyers and Canadian homeowners. The changes include reduced amortization length of mortgages from 30 years to 25 years and putting a ceiling on home equity lines of credit to a maximum of 80% of appraised home value. On the surface these look like to reasonable and prudent measures-why not “over regulate” versus “under regulate”? Just look at the U.S. real estate market where they had a period of “no regulate” and then the “wild west of lending practices” took over. Now according to some sources over 50% of U.S. homeowners are “underwater” i.e. they owe more on their home than it is currently worth…but this is not the situation in Canada. We have a strong and highly regulated banking system and for many markets our real estate values have held strong and have even shown long term price appreciation. So the question behind this announcement is why these changes? The answer will probably not surprise you especially if you live in a city not named Toronto or Vancouver. Here’s the real story: the government is worried about the overheated market in these 2 cities, particularly the crazy condo markets. The average sales price in Vancouver now exceeds $1,000,000 and the average sale price in Toronto now sits at over $515,000. Both of these figures are from the most recent figures available as of the end of April this year. 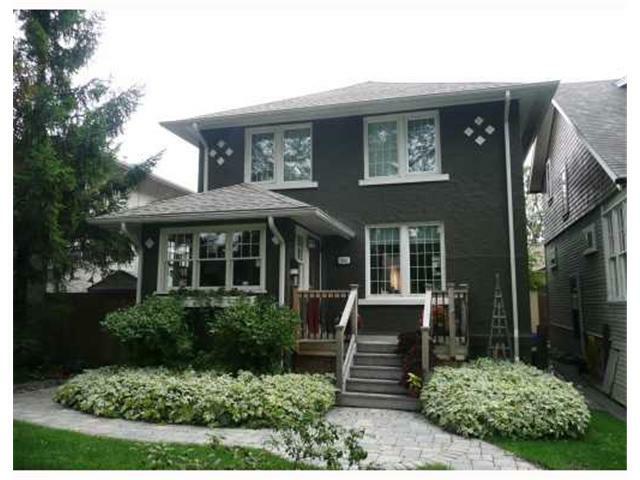 Contrast this to a market like Winnipeg where the average sale price is just over $240,000. These changes won’t have that much of an impact on a market like Winnipeg where the sale price average is one half that of Toronto and one quarter that of Vancouver. Many people have been getting qualified based on a 25 year amortization and in fact that had been the standard maximum amortization for many years BEFORE the government itself changed it to 30 years. While these changes no doubt will have some impact on the affordability of housing for some Canadians, the real question is, couldn’t the government have come out with some other ideas to address the 2 cities’ condo bubbles that they are really concerned about? Could it be that because this is the last week of Parliament before the summer holiday break they had to rush these changes through that affect all Canadians whether they live in Toronto or Vancouver or not? I wonder how many other decisions are made that relate to one or two specific regions yet affect the whole country? So the real estate market is very strong, and you put your home on the market and get competing bids and you choose the best offer with zero conditions. It’s all good, right? Well the short answer is “maybe”. So here is what you may not know and maybe your Realtor explained to you and maybe not: If the buyer of your home is putting less than 20% down as a function of the purchase price they will need mortgage insurance on their mortgage. That’s called a “high ratio” mortgage. There are 2 main mortgage insurance companies in Canada, one is called CMHC and one is called Genworth. Both have very similar insurance criteria. It’s very normal for a buyer to need mortgage insurance when they are putting less than 20% down and in fact it is a requirement so…so far so good. But David, the offer was “unconditional”-the buyer did not put any conditions in their offer nor did they mention anything about financing or mortgage insurance, so why should I care about any of this? Aren’t all these details their problem? Well again, the short answer is yes and no. The real “on the ground” truth is that in most cases there will be no problem and you as the seller probably won’t hear anything except your lawyer calling you to come and sign some additional sale documents. However…here is what’s going on around you….because of the credit crisis and banking meltdown not only in the U.S. but around the world, Canadian mortgage insurers are being much more strict on who and what they will insure and in fact are declining some applications that even 2 years ago would have been approved. Ask any busy Realtor or busy mortgage broker if they have run into this lately. Now if the person who bought your home gets declined for mortgage insurance and they can come up with more of a down payment to bring them up to the 20% level (hello mom and dad) then they no longer require mortgage insurance and their financing options increase significantly. It’s when they can’t then things get interesting. Then they have a problem and so do you. Why? Let’s say you have sold your home and have bought another one. It’s called moving up or moving down and it’s usually why most people sell. Again it is very common for the seller to require the equity-the money from the buyer-to close on their next purchase. If there is a hiccup in the funding of your buyer then it is quite possible that you will have a “hiccup” in your funding also unless you have down payment funds in place elsewhere and the ability to “carry” two homes. Even if you do, ask any seller who has had to deal with this and it’s extra stress nobody needs. So what’s the solution? The buyer of your home was “preapproved”…your Realtor even showed you the “letter” that was included with the offer that you accepted. What they didn’t tell you or maybe they didn’t know was this: The “preapproval” letter from the lender is almost always “subject” to a few things, but even if it is not, it for sure is “subject to obtaining mortgage insurance” as there is really no such thing as a “pre approval” from the insurance companies. They only generally look at a file once an offer has been accepted. Here is the bottom line. Give the winning bid 72 hours or 3 working days to get full approval INCLUDING mortgage insurance approval (these insurers are really busy these days and are much stickier about paperwork than they used to be so they need a couple of days) and then have them or their Realtor send you a copy of the “mortgage commitment letter” from their bank. It is a much clearer indication of their financing than a “pre-approval” letter that they received 6 months ago when they first started looking. This in itself does not 100% guarantee their financing (for a number of reasons which I will cover in another blog in the near future) but it is far, far better than the old pre-approval letter. It is far more preferable to have to wait 3 days to ensure you really have a “firm” sale (you got multiple offers anyway so if it falls apart the buyers that offered on your home 3 days ago will still be around or there will be 6 new ones) than it is to pack up all your stuff, get the kids transferred and registered at a new school and then find out 9 weeks later and one week before possession that the buyer’s financing is in jeopardy. It’s a pretty small price to pay for a vast increase in overall certainty. If you are thinking about buying a home yourself, text me at (204) 981-1940 or email me at davidthompson@remax.net and I will connect you with the best mortgage lender in the business. You will get all of your questions answered BEFORE you walk into any home, and greatly reduce your stress level and that of the homeowner that you will be dealing with. The common thread that runs through my most satisfied and long term clients are those that take my advice to heart and follow it. Watch very soon for my next blog post: What “private home sale” companies won’t tell you or don’t know about the sale of your home.